Hilton Head Magazines: CH2/CB2: Realtors of the Lowcountry: Looking to make your stay in the South more permanent? Get an assist with your house-hunting from these local pros. Portia Whisenhunt moved to Hilton Head Island in the summer of 2000 and attended Hilton Head Island Middle and High School. Her real estate interest was piqued at a young age when her mother began to flip homes on Hilton Head Island. As she grew, she began to be more active in all aspects of the business. In 2011, Whisenhunt made her debut into real estate as an investor with subsequent success in the post-recession market. After being a stay-at-home mom for four years, Whisenhunt decided it was time to hang up the apron and get back to work. In 2015, she was first licensed as a salesperson in Texas, where she became the exclusive agent for Marshal Reddick’s team in Dallas Fort Worth, which included hosting seminars and working primarily with investors. After moving back home to the Lowcountry, Whisenhunt became licensed in South Carolina in August of 2018. She leaped at the chance to align with the largest real estate company in the world, which is No. 1 in training across all industries. Once introduced to Keller Williams, United Home Group, the world’s largest real estate expansion team, offered her a position. 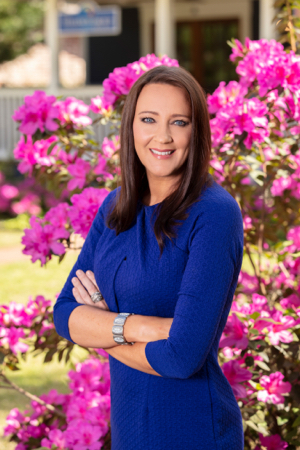 With a team of transaction coordinators, call centers and professional marketing associates, she now has the ability to help buyers and sellers in a way that no other agent in Beaufort County can. 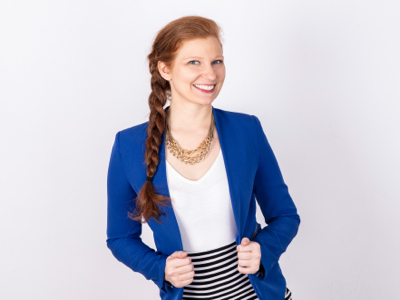 She is passionate about her clients and helping them find the RIGHT solution. Whisenhunt enjoys long runs, spending time with her five boys and continuing her yoga practice. As a leading local real estate professional, Tim Sutherland has proven to be a comfortable fit for people throughout this area looking to make the most of their real estate opportunities. From raw land to vacation homes to permanent residences throughout the Lowcountry area, he will find the perfect fit for your ultimate lifestyle. For Sutherland, life in the Lowcountry is a comfortable fit. “I love this lifestyle and the opportunity to share it with others through my real estate career—by helping people find the right fit for their needs,” he said. When it comes to experience, Sutherland has seen our area real estate market from every angle. 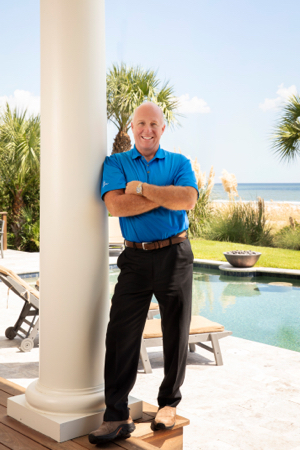 For more than 21 years at Charter One Realty, he has listed and sold properties of every size throughout the Lowcountry, playing a fundamental role in the development of some of our area’s most treasured communities. Sutherland will strive to make you feel comfortable throughout every step of the real estate purchase or sales process. He puts a lot of care, energy and enthusiasm into client service from the first moment you meet with him. He has the knowledge and experience to ensure you get the best possible results—a perfect fit. For Jeff Hunt, the business of selling real estate is more than just buying and selling homes. Each property represents an investment, a financial decision that can have a lasting impact on your bottom line for years to come. So it’s important that you make the right decision. Getting to that right decision takes perspective, which is what Hunt brings to the table. He’s spent decades in real estate investment: buying, selling, leasing and managing commercial and residential property, while running his own sports marketing firm in Charlotte. He bought his first home 35 years ago after attending Elon College, and it was off to the races. While building CES Marketing Solutions, one of the top 100 screen printing and embroidery companies in the country, he was immersing himself in real estate, owning upwards of a dozen properties at a time. For years, it was a passion he pursued while building his business empire. A move to Hilton Head Island allowed him to pursue it full time. “I’d been visiting the Lowcountry fairly regularly, and someone told me, ‘You like selling real estate so much, you should do it here,’” he said. He started right as the real estate market started to decline in 2005. It might have seemed like poor timing to anyone else. It’s a sense of perspective that he brings to bear in helping his clients find the best real estate investment possible. Even if they’re not necessarily looking at it as an investment. In this, we see a crucial difference between Jeff Hunt and most realtors, crafted from his years of experience running a multi-million-dollar business while delving deep into the real estate world. It’s a sense of perspective, a different way of looking at real estate. Hunt’s solid foundation in business lets clients rest easy, knowing they’re making the best financial decision. And his thorough knowledge of the local real estate market means they’re going to find their ideal property, whether investing in their portfolio or their family. 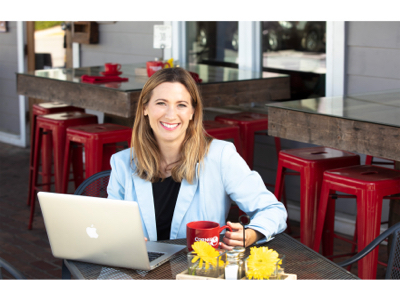 Heather Nix lives by a quote she heard years ago but still thinks about every day “Do what you love and you’ll never work a day in your life”. So when you love people and you have true appreciation for homes it only makes sense to practice real estate. Heather, who has been a resident of the LowCountry since 1997, really started to take an interest in real estate when she met her husband, Kenny, who at the time that they met was a flooring specialist. “Kenny introduced me to the world of craftsmanship and design. It was the early 2000’s and new construction was everywhere. Fast forward 20 years and the two have found a way to combine their passions and work together. Born and raised in Northern Illinois Jen Lowry happily moved away from the long winters to Atlanta and then eventually to warm, sunny and beautiful Beaufort County. She had always dreamed of living in the South, and when the time came, she was thrilled to make the move. She currently resides in Bluffton with her two sons. Together they stay active with friends, their church, going to the beach, exploring Hilton Head Island/Savannah and enjoying the seemingly endless local events the area has to offer. They have built a wonderful life here, and that experience has brought a great deal of expertise and guidance for Lowry’s clients moving to the area. Her naturally assertive personality has her leaving no rock unturned on her quest for information for her clients. She is resilient through adversity and almost always finds away to get her clients what they want and need. “I want my clients to be so happy with me by the end of our transaction together that they tell everyone they know about their experience and how great it was. That is my No. 1 goal and in the forefront of my mind throughout the process. If I follow that, everyone wins,” she said. Lowry is proud to partner with The Alliance Group Realty as she expects to deliver nothing less than five-star service to her clients. Whether you need a free home evaluation, some further information on the area, or are looking to buy and/or sell, Jen Lowry is always happy to hear from you. Welcome to all Heritage players and visitors from the Blaine Team. We have been working in real estate on Hilton Head Island since 2004 and find renewed energy with every wonderful client we are able to serve. During that time, we have used our joy and knowledge of the Lowcountry to create a business we are proud of. The Lowcountry has changed exponentially since our family first started coming here back in the 1970s from Columbia, S.C., but the underlying beauty and grace of Hilton Head Island remains unchanged. We are always excited to welcome our clients to the natural serenity we enjoy and introduce them to the abundant activities and infrastructure that most visitors haven’t yet seen. Our motto for 15 years has been “local knowledge-global connections” through our association with Keller Williams, the largest real estate company in North America and one of the major international realty firms in the world. As our community looks to the future, we look forward to continuing our family business in real estate. As we say to our clients, we’ve been here; are still here; are staying here; and we most assuredly wish you were here. Keller Welch recently joined Chafer’s team as a buyer’s agent. She graduated from Ole Miss where Chafer’s daughter Riley attends school. Welch and her husband Edward have two young children and live in Bluffton. Welch’s background in sales comes from her years as a wine sales rep. Customer service is at the forefront of her approach to assisting buyer clients, helping find exactly which community and lifestyle is a fit for them in the Lowcountry. A Massachusetts native, Chris moved to the area after multiple visits and falling in love with the charm, laid back lifestyle and friendly atmosphere. Let’s not forget trying to escape those cold and snowy New England winters! Chris has spent the majority of his working life in the service industry – from assisting with the management of restaurants in Colorado, to most recently running a electrical supply store. He brings with him a drive, passion and commitment in everything he does. Furthermore, he has the desire to go the extra mile to ensure your experience is as relaxed, and enjoyable, as possible. Born in Beaufort County, Adam knows where his roots are. At a young age, his family relocated to Buffalo, N.Y., where he encountered endless lake-effect snow and chilly winters. During his later teenage years, Adam arrived in Bluffton, where he was engulfed by the warm culture, weather and way of life. With a passion for customer service, Adam entered the local fitness and hospitality industry, where he became more in tune with the community and really fell in love with the area. Adam has an infectious smile and a can-do attitude, it’s his mission to ensure that every person he assists is well taken care of. When Adam isn’t in the office, you can find him in the gym, on the golf course, or relaxing on one of Hilton Head Island’s local beaches or enjoying the sun with his two dogs Theodore, a white lab, and Roosevelt, a Great Dane. It all began back in 1987, when real estate professional Spain Kelley asked Kevin King to join him at Kelley Scott Real Estate. 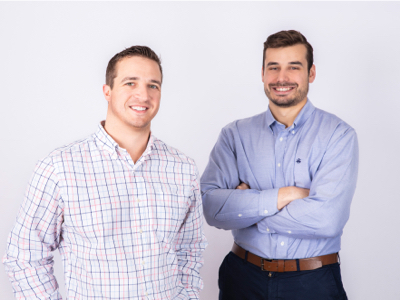 After four years as a mortgage broker, King and Kelley had become the best of friends, and it seemed a natural fit for the guys to join forces. King often refers to Kelley as his mentor and credits Kelley with showing him the ropes, which has led him to a very successful real estate career of over 32 years. 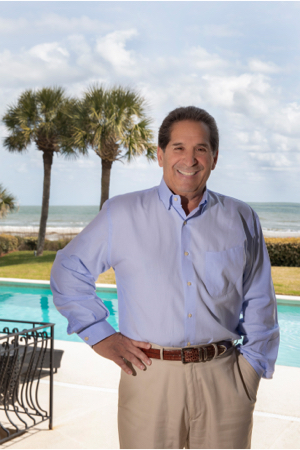 Kelley was one of the first Realtors® on Hilton Head Island back in the 1970s, and his residential real estate career evolved into commercial real estate decades ago. 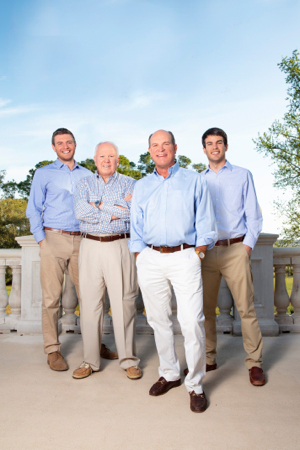 Fast forward to 2019, Kevin King Associates, King’s sales team at Charter One Realty, is now ushering in “the next generation” and literally keeping it all in the family. King’s new son-in-law, Kevin Basirico, has joined Kevin King Associates’ five-person sales team, which also includes Kelley’s son-in-law, Steve Harmon. “I’d like to say Spain and I are truly ‘paying it forward’ in welcoming this new breed of sales agents to the Lowcountry,” King said. 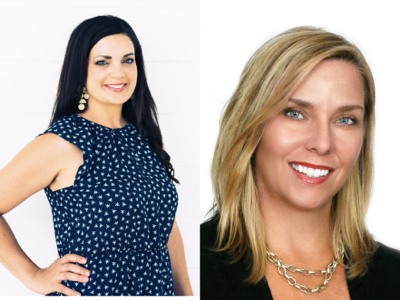 In addition, King’s real estate team includes Charlotte Stringer, who has international real estate experience, and Tripp Hawkins, King’s nephew, a graduate of USC-B and a former property manager. The Basirico/Harmon Team is part of a real estate “family” with a combined 75 years of real estate experience on Hilton Head Island and in Bluffton. “It’s rewarding for Spain and me to have these young men follow in our footsteps, and we look forward to seeing their successful real estate careers take off.” King said. With offices at the Colleton River gate, Kevin King Associates is proud to be affiliated with Charter One Realty, a company that has done over $142 million in business in January and February alone—a number that represents over $100 million more than the closest competitor. And King’s team contributed over $10 million to that sales number. 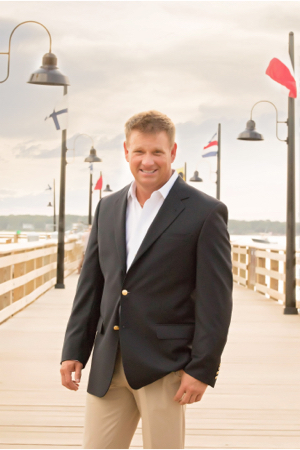 In keeping with their mantra, “International reach with Lowcountry dominance,” Kevin King Associates brings savvy business experience, local knowledge and a keen passion for Lowcountry living—a winning formula to help their clients find the right home, villa or homesite. Owner and broker-in-charge of Schembra Real Estate Group, Philip Schembra has spent more than 43 years at the forefront of Hilton Head Island real estate, both as a property owner and Realtor®, living on the ocean in Palmetto Dunes and specializing in Palmetto Dunes, Shelter Cove and Leamington. Schembra has amassed $1 billion in personal sales. A true industry leader in luxury real estate, Schembra continues to set records, and REAL Trends America’s Best Real Estate Professionals ranked him No. 5 for Individual Sales Volume in the State of South Carolina and No. 1 on Hilton Head Island in 2017. In the past, working with one assistant, he was honored as a recipient of the “Top 100 Sales Team” award in the country, ranked by sales volume by the National Association of Realtors (NAR) with over 1,400,000 million members at that time. Perhaps most impressive is that he has achieved all of this while focusing entirely on his own community. He has organized a series of successful “Why Hilton Head Island?” symposiums for the real estate agents on the intrinsic value of Hilton Head Island and the ongoing need to raise prices throughout the region. Giving back is important to Schembra, as he has been involved in many organizations. A few notables include past board member, HHI Board of Realtors; past chairman, Beach Nourishment Committee; board member, HHI Chamber Commerce; founder, Golf World | Palmetto Dunes Intercollegiate Golf Tournament; marketing director, Benjamin Racusin Hilton Head Island’s first mayor (Carol’s cousin) … just to name a few. In addition, he organized the committee to re-write the SC Beachfront Management Act. In New York City, he helped organize and was a past award recipient at the Thurman Munson Award Dinner to benefit the Association for the Help of Retarded Children (AHRC) and served as advisory board member for the International Amateur Athletic Association, which administered the Jesse Owens Global Peace and Athlete of the Year Awards. A Glen Ridge, NJ native and graduate of LIU Post on Long Island, Schembra started his business career in NYC before moving to Hilton Head Island. He and his wife and partner, Carol, and son Christopher (NYC) enjoy the quality of life that our special island offers. 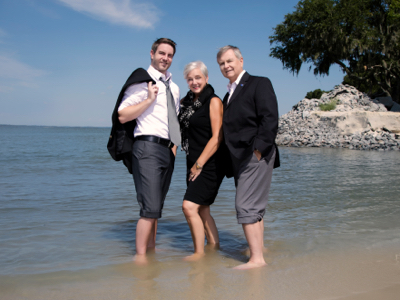 Ron and Laura Williams have bought EXIT Hilton Head Realty from Andre and Joann Cilliers. Natives of Wisconsin, Ron and Laura bring a wealth of experience with them along with the excitement of beginning a new chapter in their lives. 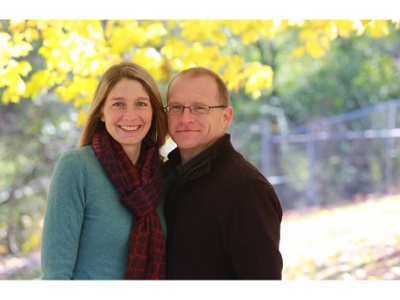 Ron has been in real estate for 27 years, while Laura has 20-plus years’ experience in hospice counseling. Ron has owned two independent real estate brokerages in Madison and Janesville, Wisconsin for seven years. These companies have recently converted to EXIT Realty, giving Ron ownership of three EXIT Realty offices. In Wisconsin, Ron’s real estate companies have a design and construction division as well as a property management division. He will be bringing this expansion of services to EXIT Hilton Head Realty in addition to helping the current 14 agents grow their business. Ron is known as a broker who helps his agents develop their full potential, which he does through mentoring and coaching. Ron and Laura fell in love with Hilton Head Island over five years ago and have vacationed here every year since. They had been discussing relocating to the island when a mutual friend introduced them to the Cilliers. Soon thereafter, a deal was struck; on February 15, 2019, Ron and Laura became the new owners. While the Williams are transitioning to full-time residency over the next few months, Andre remains the broker-in-charge and Joann remains as manager. Ron and Laura have four children: Caleb (20) just finished fire academy and is looking for a position in the Lowcountry area; Lauron (18) will be attending Campbell University in Buies Creek N.C.; twins Mae and Zoe (16) will be juniors this fall at Hilton Head Island High School. Ron and Laura look forward to growing EXIT Hilton Head Realty and to becoming fully integrated into the Hilton Head Island and Bluffton Communities through church, school, and business. Any agent wishing to learn more about EXIT Hilton Head Realty and its unique Five Pillars of Real Estate can contact Ron at (608) 359-7762 or Ron@EXITRealtyHHI.com.